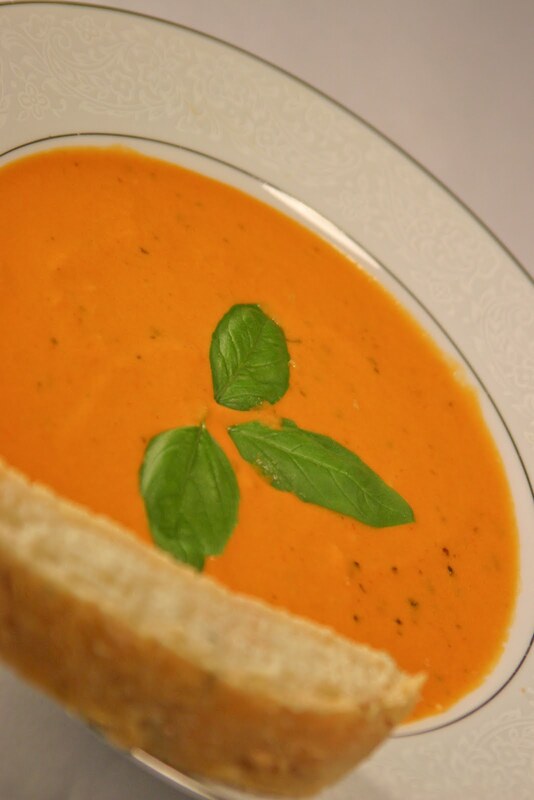 In the interest of brevity and browsing ease, I've cut today's post in two: an easy Chilled Tomato Basil Soup complemented by Rosemary Potato Rolls. Until yesterday, the sun has been baking everyone into a stupor, and I thought something chilled and easy to yank out of the fridge might be appropriate. 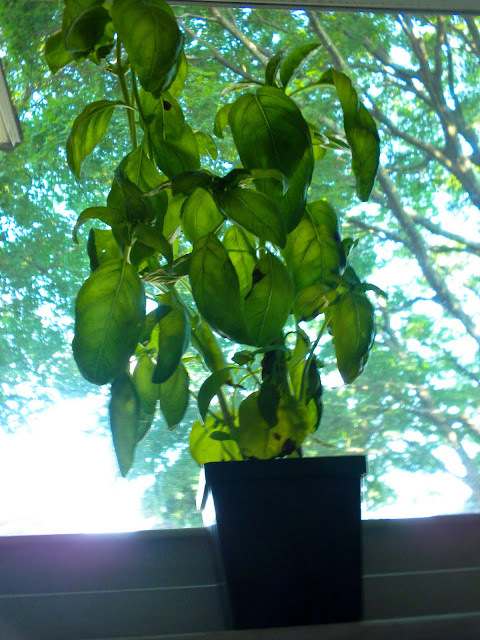 AND I was lucky enough to recently adopt, and practically resurrect, a basil plant in need of some serious pruning. I refused to put any sugar into the soup, but all the recipes I've tried in the past included some sort of sweetener. 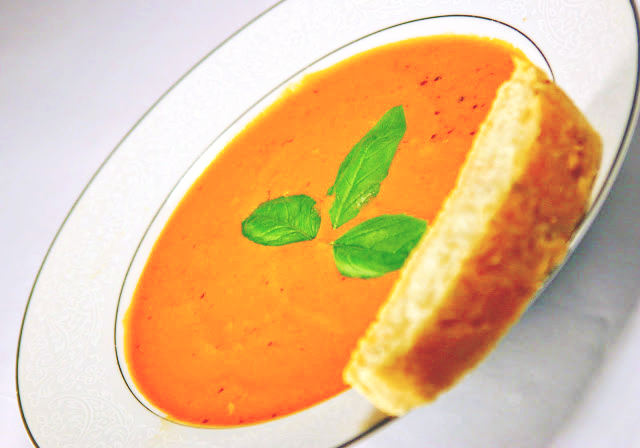 Then I remembered a carrot walnut bisque I made last year, and how the carrots provided a subtle sweetness that sugar could never achieve - and it worked! This can take a little while to make, but it's mostly waiting, so if you're at home anyway, cooking up a storm of other items, working, what-have-you, this is a great dish to have on the backburner. Please excuse the lack of instructional images - I'm still playing with the new camera! 7. Set the stove to low again, and add the cream, dry basil, and salt and pepper. Let simmer for about 10 minutes.